A lovely little Extra Anejo Cuban rum here from Santiago de Cuba. Santiago de Cuba might be the lesser known of Cuba’s distilleries, but it produces a stupendous quality of delicious rum. 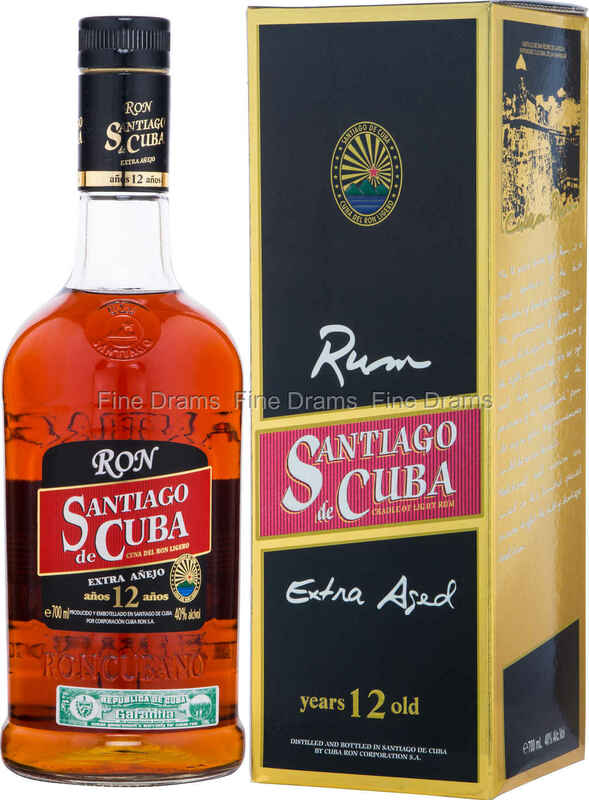 This 12-year-old rum was first designed to be paired with the very best Habanos Cuban Cigars, with its intense and rich oaky notes standing up perfectly to the dense, spicy and smoky flavours of a good cigar. That said, non smokers will enjoy this rum too, which is versatile enough to be both sipped and mixed into cocktails and drinkers. A tasty drop, well worth giving a try.